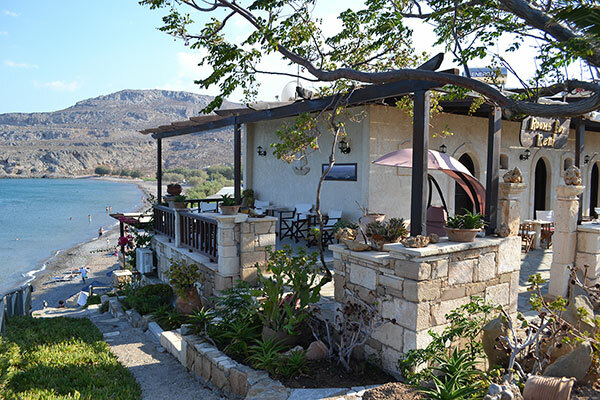 At the eastern end of Crete, Kato Zakros has, besides the ruins of an important Minoan palace, beautiful beaches and excellent hiking trails. 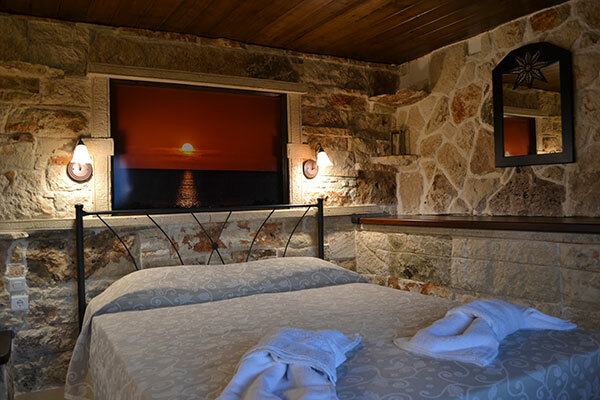 ATHENA rooms are located at a breathtaking distance from the beach (just 20 meters), overlooking the endless blue of the bay of Kato Zakros, with crystal clear sea. CORAL rooms are located in a magnificent scenery right next to the beach of Kato Zakros (20 meters) and equipped to provide every comfort. 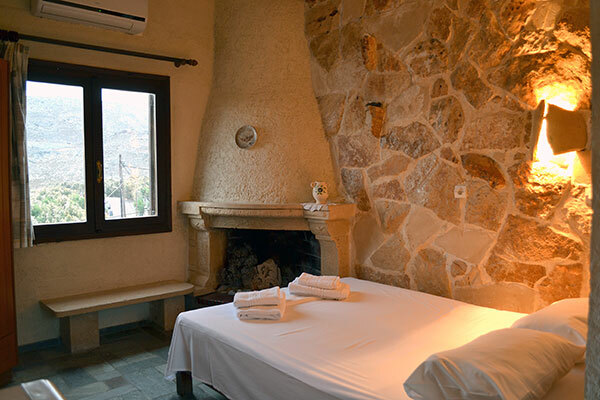 KATERINA Apartments are a new small complex perched on the hillside which stands beside the entrance of the "gorge of the dead" of Kato Zakros. 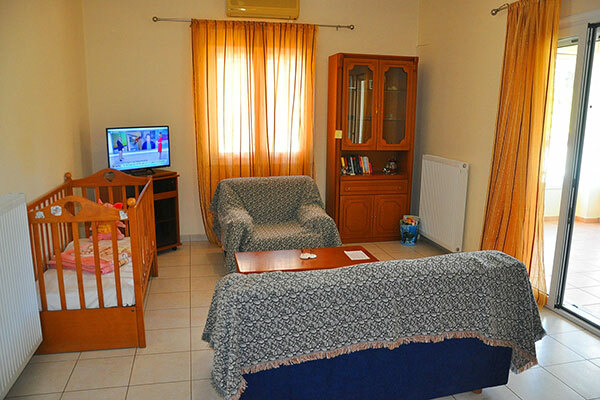 Spacious air-conditioned apartments (60sqm) with balcony and fully equipped kitchen with oven and fridge. It is the oldest tavern in the area of Kato Zakros (since 1898) and only few steps from the beach. AKROGIALI this name is indeed right for this tavern that abstains only 5 meters from the beach. It is the older tavern in the region of Kato Zakros. 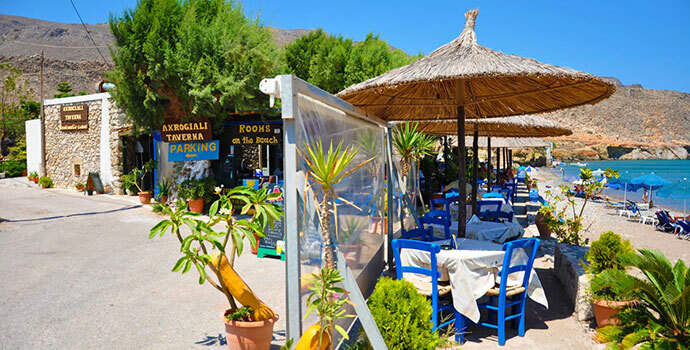 In 1991 Nikos Perakis and his wife, Tania, undertook the tavern and since then they offer with love and taste to their customers genuine traditional Cretan and Greek cuisine. Excellent location, very nice owner who gave us local vine, raki and other delicious local product to make us feel most welcomed. Η ανατολή από το μπαλκόνι σε γέμιζε ενέργεια, θετικές σκέψεις, ελπίδα! Μέρος ευτυχώς ανεπηρέαστο από το μικρόβιο του τουρισμού, προορισμένο για επισκέπτες που αναζητούν τον επίγειο παράδεισο, με χαμηλό κόστος. An ubelievably kind host, with home-made biscuits and cake very day, cleaning servcice too. 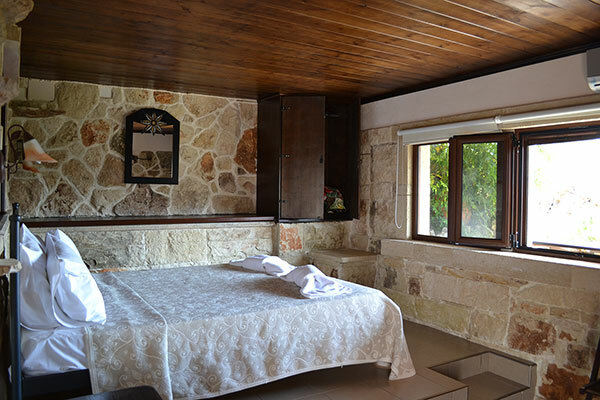 The location is great, very quiet yet in immediate distance to all hiking path (the E4, and several others) and the small, lovely town, which has all amenities one needs. Very clean, spacious, balcony, sun terrace. The wifi worked fine, and the price was great. Wonderful, friendly welcome and hospitable owner and staff, who seemed to speak a number of languages. Fantastic location right on the beach and totally unspoilt. Ditto the taverna. Great spot to visit the ruins and hiking as well as the beach. 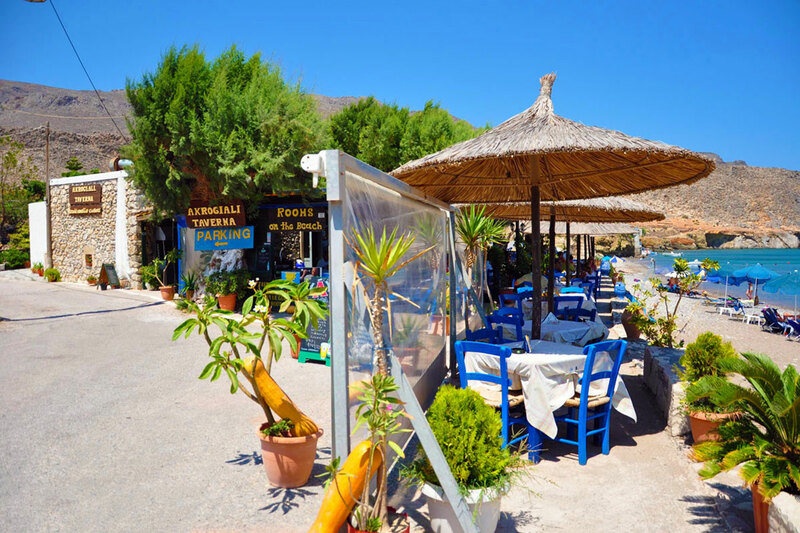 The tavern Akrogiali offers the greatest samples of the Greek cuisine, but if you want something special, don't look into the menu, but ask Nikos, the owner, and you'll be served with the most delicious meals in Kato-Zakros. Far from the over developed tourist regions of Crete, in the most eastern place, Kato Zakros combines the ruins of important Minoan palace with beautiful beaches and exceptional walking ways. 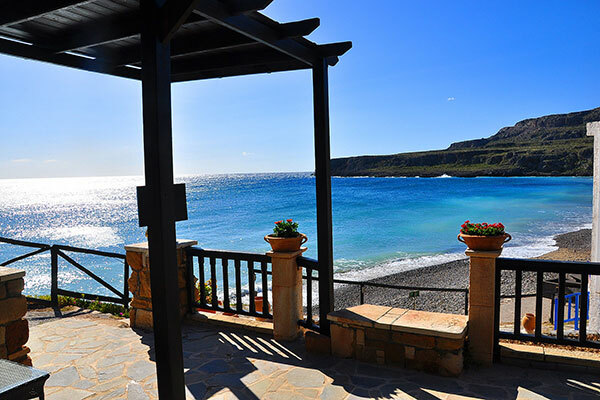 Crete and its genuinely friendly people, welcome you and wish you a wonderful stay! Some will be visiting for the first time, whilst others have now become regulars, but either way, we promise you a truly memorable experience. Copyright © kato-Zakros.gr 2019 | All rights reserved.